Click each photo below to learn more about how you can join the current Hunger Initiatives. In 2017, Pastor Halvorson tasked the MPDC staff and congregation to rally engagement around fighting two Houston crises: Childhood Hunger and Human Trafficking. In response, two Task Forces were developed to address these important issues affecting our community. Kids’ Meals is concentrated primarily on delivering meals to preschoolers each weekday. MDPC contributes approximately 4,000 sandwiches per month to Kids’ Meals program, made possible by a monthly sandwich-making event. The event, held on second Wednesdays at MDPC, has become a popular service project, well-attended by adults and children alike. MDPC Fuente Food Pantry operates on Saturday mornings on the MDPC campus and provides basic groceries and produce to approximately 200 families per week. It is staffed by Fuente and MDPC congregants. 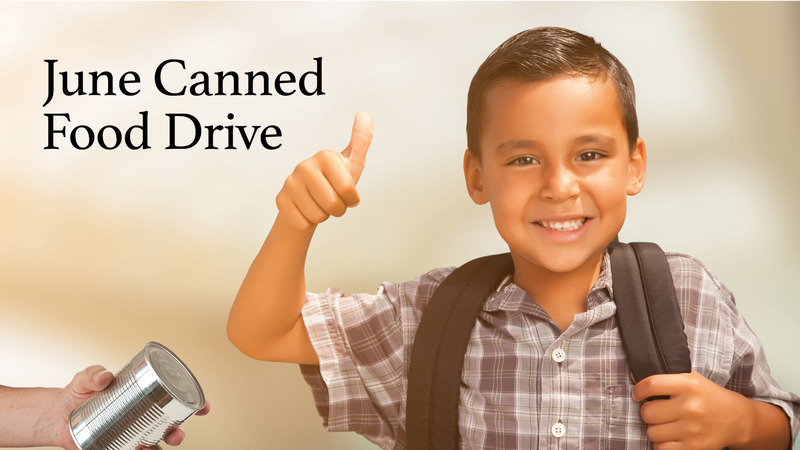 Provide immediate food assistance to food-insecure children and households. ‘Lift Up’ families by addressing the underlying causes of food insecurity. In pursuit of these goals, the Task Force creates service opportunities for MDPC members to volunteer with partner organizations. The idea is to enable the work of existing agencies with extensive experience and proven success in hunger relief, rather than starting from scratch. Members are now volunteering at the Houston Food Bank twice per month assisting in a variety of tasks. MDPC bus transportation is available for the Monday sessions. Partnering with Houston Food Bank to expand the Backpack Buddy program at Spring Woods Middle School. The teams’ work benefits 120 students at Spring Woods Middle School that school counselors have identified as food-insecure. While these kids receive weekday meals at school, the Backpack Buddy program supplements over-the-weekend needs of their entire family. MDPC volunteers help distribute backpacks to students at Spring Woods Middle School on Friday afternoons. In addition to funding for the program, MDPC members volunteer at the food bank two mornings a month. Participating in East Spring Branch Food Pantry’s Thanksgiving Meal-in-a Bag drive, for which MDPC collected and delivered almost 600 bags of food. MDPC volunteers are also needed to help with distribution of the food the week of Thanksgiving. Sponsoring English as a Second Language (ESL) classes at Spring Branch Family Development Center (an MDPC mission partner). Sponsoring and teaching a Computer Skills training class at Spring Branch Family Development Center. This class is attended by parents and young adults in communities affected by food insecurity. Partnering with Houston Community College and Houston Food Bank to open the Eagle Food Pantry at Houston Community College’s Spring Branch campus. Studies show that many college students drop out of school because of food insecurity at home. The new Eagle Food Pantry offers students a variety of nutritious foods and perishables (e.g. dairy, fresh produce) to take home. Its purpose is to enable students to focus on schoolwork instead of how they and their families will eat that day. Volunteers are needed to stock shelves with food at the Pantry. Future plans include the coordination of other MDPC ministry partners on educational opportunities for parents and children. The Task Force also plans to invite guest speakers to inform the congregation about the issue of food insecurity in Houston. If you would like to join MDPC’s Hunger Initiative, contact Jan Roe at . or click here to learn more.